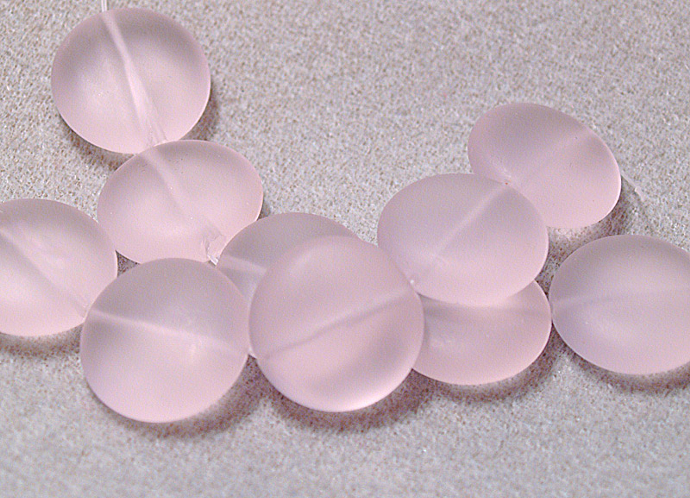 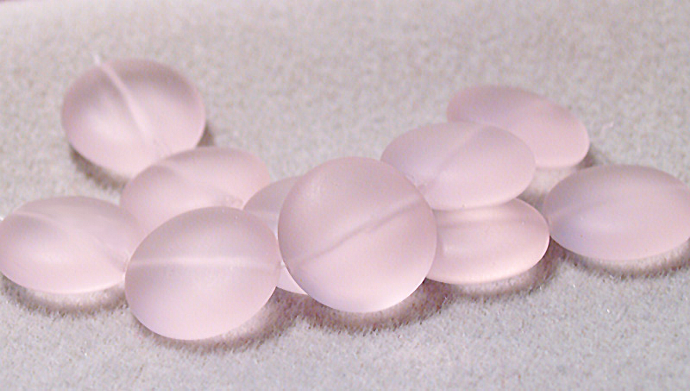 These are large, soft pink, recycled "sea glass" beads in a coin shape. 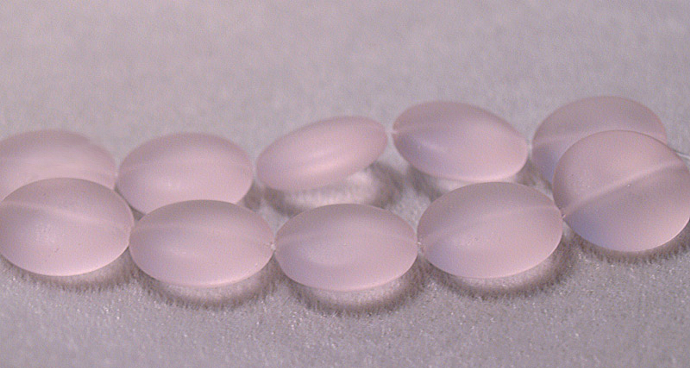 They'd be great used as focals or any type of summer jewelry. 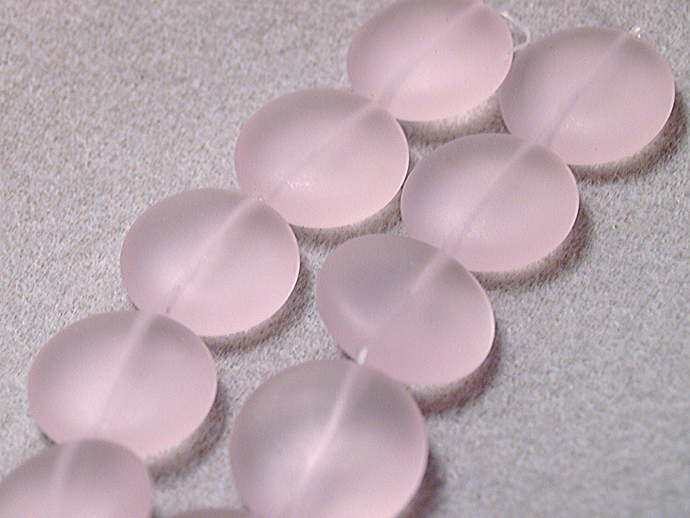 You'll receive a 8" strand.